Today I’m interviewing Dr. Chuck Downing. His fiction books are published under C. R. Downing. 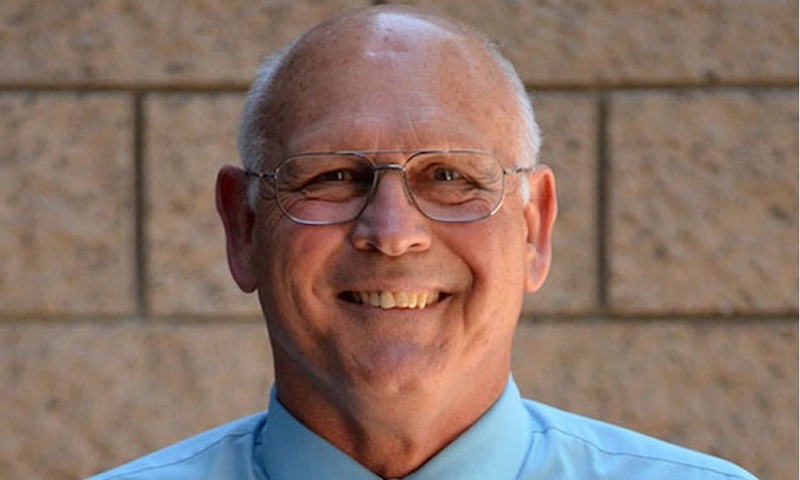 Retired from teaching in 2012 after 39 years in high school (science) and university (biology and teacher education), C. R. Downing won a Presidential Award for Science Teaching. He has published textbooks, lab/activity books, teaching methods books and has five scenario-based laboratory activities marketed by wardsci.com, Science Education Division. C.R. Downing won a Writer’s Digest short story competition, and his book, Traveler’s HOT L, was the winner in the “Fiction: Science Fiction” category in the 2014 USABest Book Awards. In today’s interview I had the pleasure to pick his brain on my quest to answer certain questions for the upcoming author, and find out more about the incredibly interesting and individual personality of this fantastic author. If you too are a writer, don’t forget to check out all the tips From Writing To Publishing Your Novel, and sign up to my Newsletter for the latest & greatest. I almost always begin with an overall plot idea: Beginning, several Plot Points, and an End. That wasn’t the case when I began Color, Clarity, and Cut. I was a writer long before I was a published author. I love to write short stories. In many ways, writing a short story is harder than writing a full-length novel. In a short story, you must provide your reader with enough characterization, setting, and plot to leave a reader satisfied. Look at the horizontal list above. All are requirements in short stories, novellas, and novels. Regardless of the length of your story, you must have those bases covered to produce a quality tale. I’d written five detective/mystery stories with Phil Mamba as the protagonist. I know the man, his likes and dislikes, his tastes, his preferences. What I didn’t realize at the time was, no matter how much you think you know, without a climax and ending in mind, you will get stalled in the story line at some point. The story involved stolen South African diamonds, a brother and sister who owned the diamond mine, the thief, and Mamba. I was writing along. Things were going well. Mamba’s questioning of the couple was insightful. Then, he realized he’d have to . . . I didn’t have a clue what my detective could do next to help solve the case. That’s not a good feeling for any writer. For a writer of a detective story, it’s brutal. The story sat, unfinished, for at least ten years. Since that experience, I’m less a pantser and more a plotter. I’ve worked with a publicist and two co-authors. The publicist preaches plotting. That’s not true. She’s a zealot of plotting. My first co-author lacked creative writing experience. That should read, “lacked any creative writing experience.” I had to do more plotting than my norm. My current co-author is a retired English teacher. She’d argue with my three-ingredient list for story writing. Besides insisting on knowing motivations and life lesson(s) the story leaves the reader, she plots. Ultimately, my plot/pants scale is more balanced than it was when I first wrote to publish. It makes my stories easier to write and my writing easier to edit. You might wonder about the status of Color, Clarity, and Cut. That story is now complete! Traveler’s HOT L, Volume 2. More tales from the time traveler’s resort is my fourth published fiction book. C, C, & C is the second story in the anthology. The problem was, the the detective needed to to know something earlier in the story than where I was in the plot. I had no desire to go back and re-write PAGES of story. How did I solve my unsolvable plot conundrum? Time travel. I realized that if Phil Mamba took advantage of the services of the Harmonic Overlap of Time Location (HOT L) I developed as my primary sci-fi platform; it was possible for him to get the information he’d otherwise never have access to. It’s a good story. Give it a read. The eBook is only 99¢. That definition has transformed over the nearly five years I’ve been writing for more than the joy of the experience. Once upon a naïveté, it was writing “The End” and centering it after the last sentence on the last page of the story. That stage is now my “first first draft” (ffd). That’s when I run the whole piece through ProWritingAid and Hemingway when I‘m writing a short story. I fix, adjust, and rewrite as needed. If the story has chapters, each chapter goes through the process described above as I finish it. I run the whole manuscript through ProWritingAid before the ffd is done. I have faithful readers I send the ffd to. I get their feedback, incorporate what I feel has legitimacy, and spot read around their feedback points. Then the manuscript is my FINAL FIRST DRAFT. I was in a rush to finish books. Unfortunately, my idea of finished was at least a light year away from a publisher’s idea of finished. I didn’t realize that until I submitted my first manuscript. An aside. Some time in the 1980s, I submitted a manuscript to a publisher. See the answer above to get a feel for the level of editing I’d done before submitting. More answer. I sweated through the obligatory wait. When I got an envelope from the publisher in the mail, I tore it open. Inside were two separately folded pages. I’m including this note with the reviewer’s comment page. The comments are overly critical and negative. I apologize for their tone. I removed the reviewers name from the page [it was whited out]. We met. Future reviews will be less caustic. Although the message was harsh, it was accurate. We will not be offering you a contract. I wasn’t devastated. I was angry. “How dare they! This is a great story with wonderful character and an inventive plot line,” flashed through my mind. I wish I’d kept that letter and review. When I took a good look at that manuscript two years ago. The number of inclusions—excessive adverb use for one—appalled me. I now excise the majority of those from my manuscripts before the first draft is a FIRST FIRST DRAFT. I’d been working with Sherry Frazier of Frazier Public Relations for over a year. I sent her a detective story based on an actual event that also written in the 1980s. I’d massaged it over time based on feedback from friends and a fledgling author gracious enough to read it and offer comments. I began a slow burn as memories of the envelope with two separate sheets in it surfaced. We spent a month going over the book page by page. I took 17 college-ruled pages of notes based on page number and/or paragraph number. Months later, I had a draft ready to send to a proofreader. Excessive speed can kill you when driving and your story when you’re writing. Betrayal in Blue. The detective story mentioned in the previous answer. Based on a true story, Downing’s compelling tale highlights the efforts of former police lieutenant Phil Mamba as he strives to take down a deadly drug syndicate. Now a private detective, Mamba works his trusted sources to compile a comprehensive list of known drug traffickers; however, when the police department uses the list to prepare a summary report of its activities, information about police officers and task force agents working the case leaks out, prompting the syndicate to launch an all-out assault on the officers and their families. Mamba soon finds himself risking his own life not only to plug the leak but also stop the bloodshed before too many innocent lives are lost. Coming in just shy of 700 pages, one would think The 5th Page stretches a bit too long for the casual reader; however, just the opposite is true. Combining well-developed, unforgettable characters – Mamba chief among them – and a thoroughly researched, meticulously crafted tale, The 5th Page is both informative and entertaining, which adds to its page-turning appeal. Downing proves himself a masterful storyteller as he mixes fact and fiction in seamless fashion, throwing in just enough action and suspense to keep the reader hooked until the very end. Who Leads the Shepherd? A Biblical fiction story. A young shepherd from Bethlehem sees and hears angels announce the birth of the Messiah. He tags along with the men who visit the baby Jesus in a stable. Jeremiah, the shepherd boy is now the leader of his band of shepherds. Jesus’ life is one of teaching and healing. When a tragic accident leaves Jeremiah’s best friend cripple, he sets out with his slave, Sabah and his mentally challenged son, Adam to find the Healer. Jeremiah’s search leads him through cities and countryside. He meets some who believe in Jesus as the Messiah, some who see him only as a good rabbi, and some who see him as a fraud. By the time he finally catches up with Jesus, it’s Passover in the third year of Jesus’ ministry. This roller-coaster ride of emotion and drama will help you explore your faith and how you express it. Readers should expect to be taken back to their childhood when their faith began to grow. As they watch Jeremiah and Adam struggle in their journey toward faith, the readers will again feel faith growing within them while reading Who Leads the Shepherd? I posted the first two chapters of Who Leads the Shepherd? on my blog in December of last year. Here is the link to a PDF with both chapters. Read on for additional information on what might be next from me. 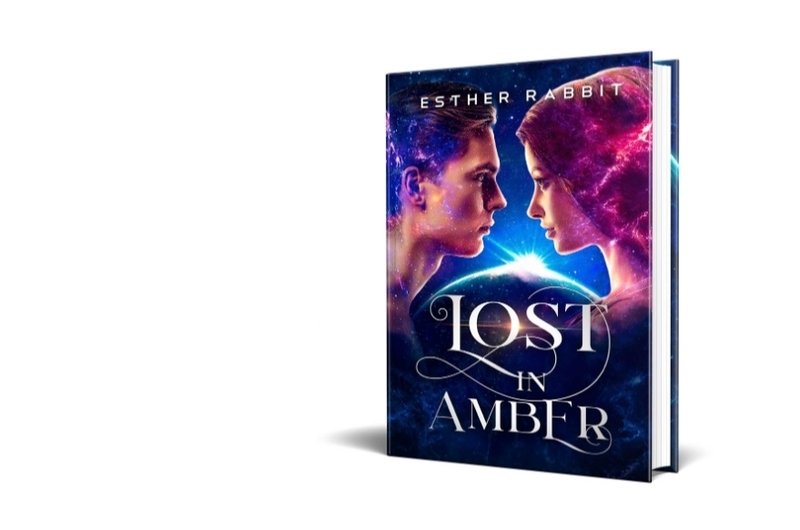 Esther Rabbit: What are the steps you usually take from writing your first draft to publishing? I asked high school student “survivors” that I worked with on a book project (an anthology, Sci-Fi High, Live the curriculum!) a series of what-did-you-learn questions. After two years of working on her short story, one student put it this way. What is one lesson you learned? Edit until your eyes bleed. Then, edit some more. Editors are not trying to make your life miserable, they are trying to help get your writing to the best it can be. Besides my editing, I am fortunate to have a pool of five beta readers. The inherent focus of each reader differs from the other foci. What I end up with is a set of manuscripts that look at my story from five angles. I take most of those to heart, but NOT all of them. It is my story. As much as I appreciate the beta readers’ diligence, I make the final decisions. Esther Rabbit: How long do you self-edit your manuscript before sending it to a proofreader/ beta reader / editor? I talked about beta readers above, so I won’t mention them here. After my Final First Draft (see the answer to question #5), I let the document sit. It resides unread on my hard drive at least two weeks. The longer the manuscript, the longer it sits. The purpose of the lag time is to allow my brain to move that piece of writing to an “in the past” area. When I look at it after the time lag, my brain sees it as “new” comparatively speaking. That provides me with the opportunity to read it in close to the same mindset as a reader who purchased the book. Bottom line – manuscripts go “out” only after several months of editing on my part. I laughed when I read his question choice, so I had to answer it. Betrayal in Blue is for the nearest future. I’m working with Frazier Publications in an exposure/marketing plan. This is the detective story mentioned in my answer to Question #10.
Who Leads the Shepherd? is one of two next nearest future items. This is the Biblical fiction book mentioned in my answer to Question #10. Expressions of Faith – Hebrews is at the same point on the near future scale. This is a series of 52 Scripture readings, comments, and creative thought-provoking interactive devices for finding meaning in the Book of Hebrews. Number 2 and Number 3 are tied in terms of completeness and readiness for publication. Teach Like The Teacher is a book for teachers of all ages of students. It is an exploration of eight components of the teaching of Jesus that make Him arguably the best teacher in history. I’m working with an outstanding teacher as my co-author. Descriptions, suggestions, and examples abound. Just Time is the working title for a detective novel I’m working on with the same co-author. It’s a Mystery/Sci-Fi hybrid. If I was starting from scratch, this project would be #2 or #3.